Garth has a Masters’ degree from University of British Columbia School of Social Work. He has worked in the EAP field since 1992. Prior to this Garth worked in the alcohol and drug and child welfare fields both as a practitioner and supervisor. Garth was previously the Executive Director for Prince George Alcohol and Drug and under his term the agency met the CARF accreditation standards for the first time. Garth brings a compassionate and professional perspective to the Employee and Family Assistance Program (EFAP) field. 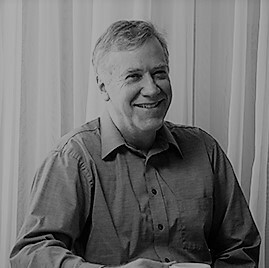 Through his training and experience Garth has seen the personal challenges of individuals as arising from the context of the communities and circumstances in which they live. His focus has been to develop programs that promote healthy and productive individuals. It was out of this vision that Garth began Walmsley, an Employee and Family Assistance Program (EFAP) company based in British Columbia. The company was started in Prince George, BC due to a need to provide customized service to employers in the northern region of BC. Under Garth’s leadership the company has grown to provide comprehensive EFAP services throughout western Canada. Garth has assembled a team of competent staff and associates who maintain the vision of a compassionate and professional service throughout the Walmsley organization. Walmsley has continued a small company quality that can easily adapt to the local issues. Because of this Walmsley has a special niche in the EFAP market. Garth is the primary account manager for the Employee Assistance Program contracts for Walmsley. Garth lived and worked in the Prince George region for 22 years. He is currently resident in Victoria, BC.